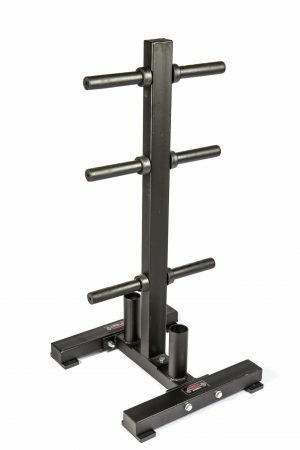 Tradition should not limit innovation. 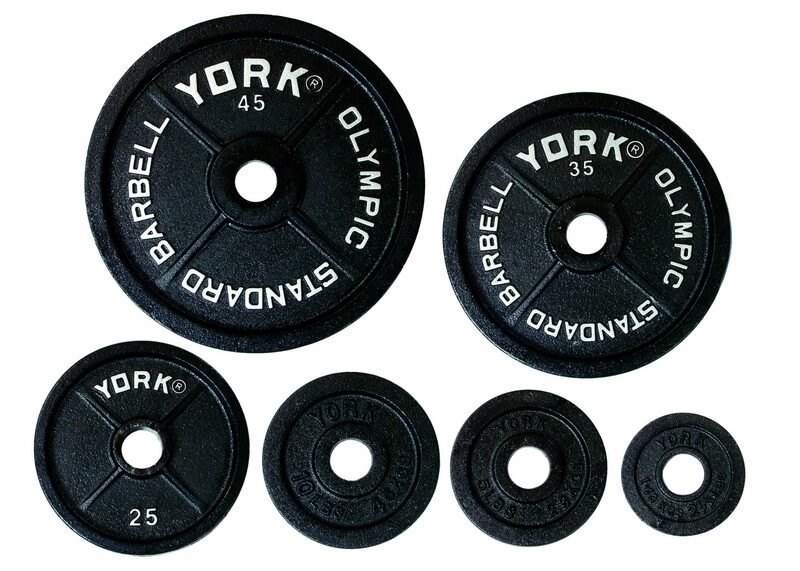 It is in that spirit that York Barbell has forged its long history of excellence, over nearly a century of pioneering industry standards. 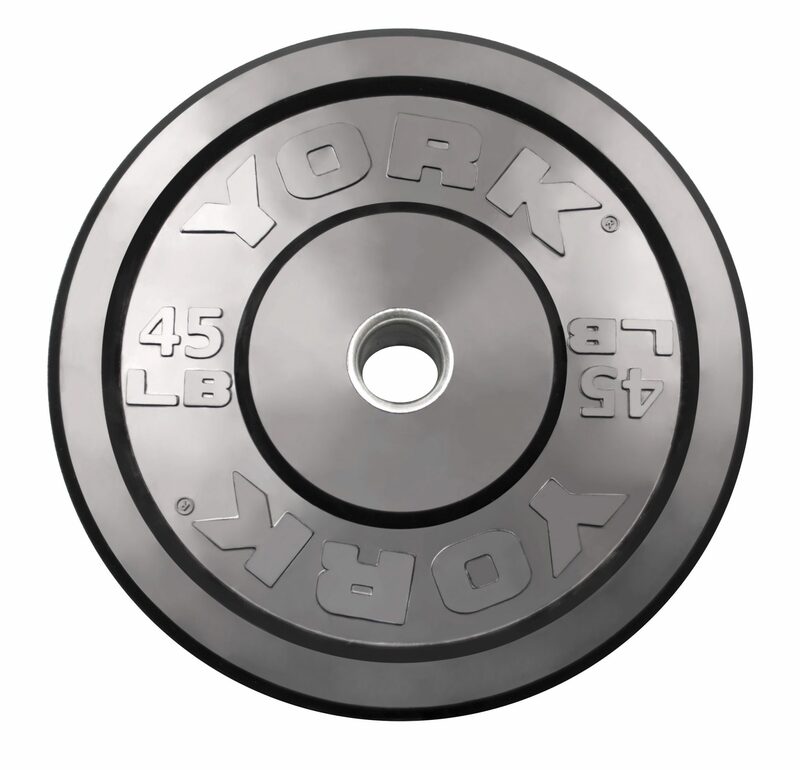 With roots steeped deeply in the history of American weightlifting and limbs outstretched into the great unknown, York continues to be ‘The Strongest Name in Fitness’ with its adherence to traditional values while simultaneously and continuously sculpting the fitness industry as we know it. 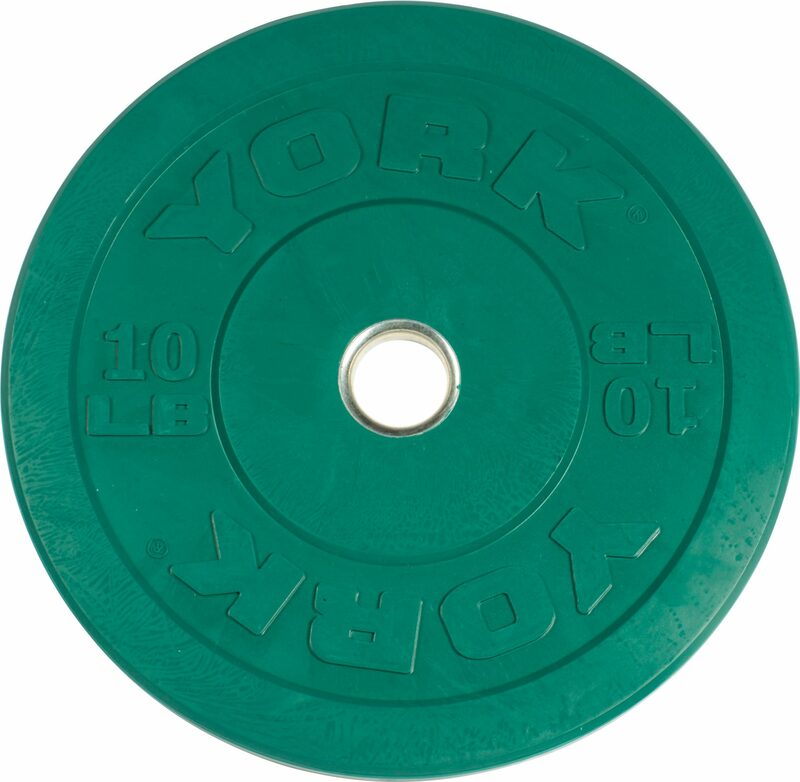 That kind of steadfast dedication to both tradition and innovation has provided for the wide variety of special features in both Olympic and standard plates offered by York. 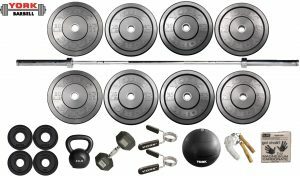 With multiple grip options, finishes and styles, there is something for everyone and for every budget. 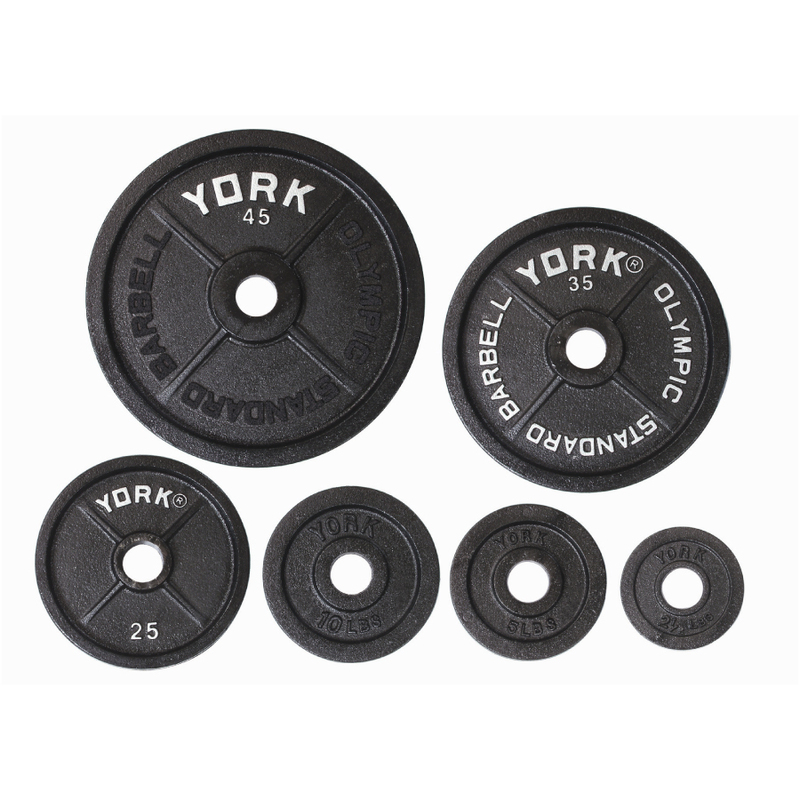 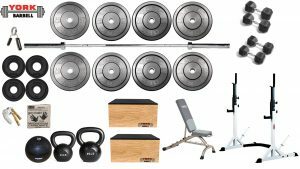 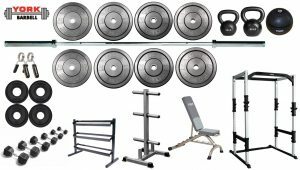 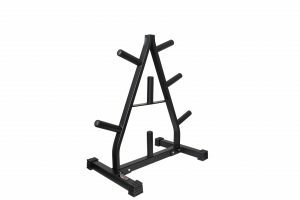 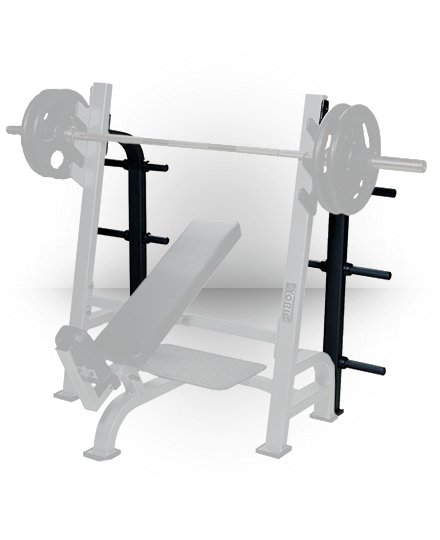 York also offers complete weight plate set packages, which even include one of their world class bars and a pair of collars to get you started with everything you need right out of the gate. 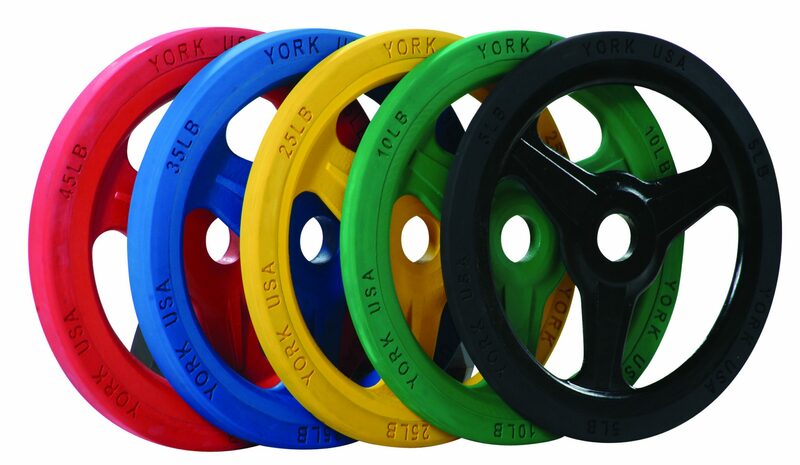 York prides itself in anticipating the needs of its customers and with so many different plate styles and sets; you can rest assured that York has you covered! 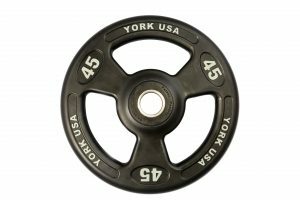 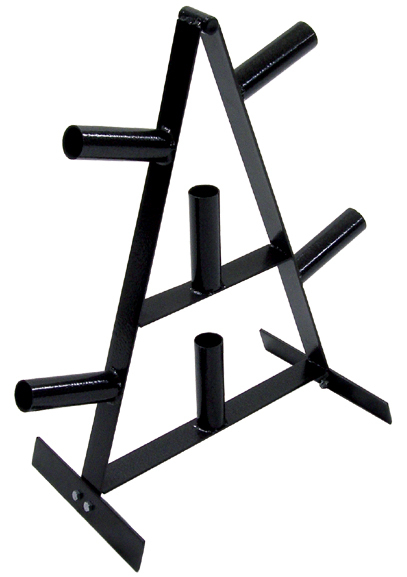 Form, function and attractiveness can all be found in York Barbell plates. 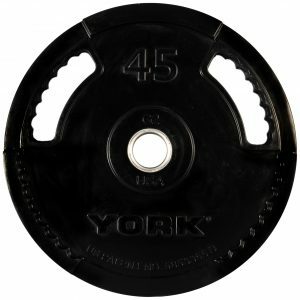 From the basic cast iron plates of old to the space age design of the bumper grip plates, all of York’s offerings are designed with the end user in mind- creating convenient, safe and sturdy plates that are made to last. 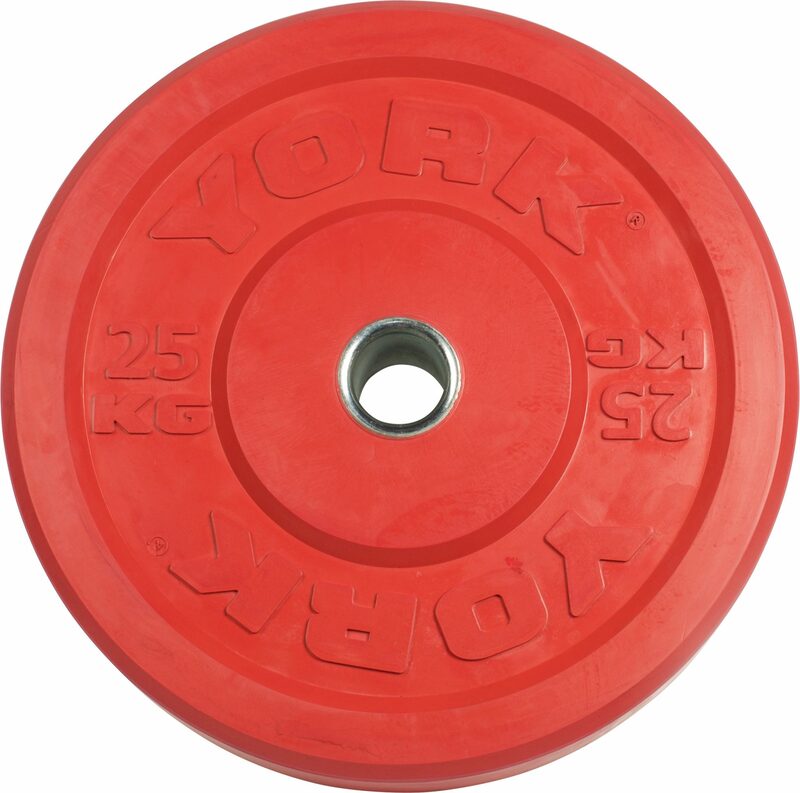 Only quality materials are used in the making of York plates including iron, rubber and even urethane. 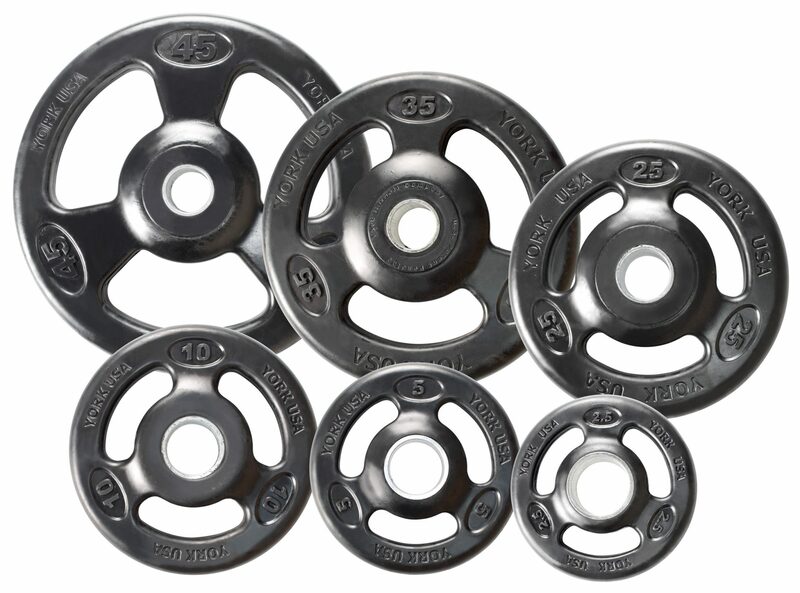 With the incredible durability of these plates, you’ll wear out long before they do! 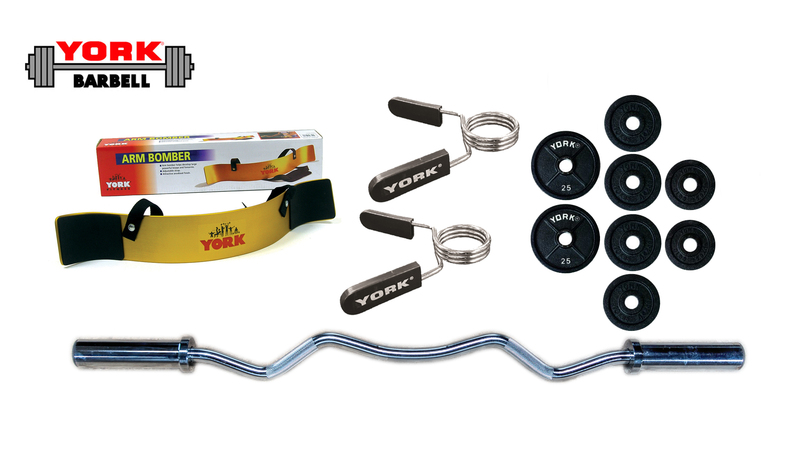 York continues to offer cutting edge design as well as trusted tried-and-true products to its customers. 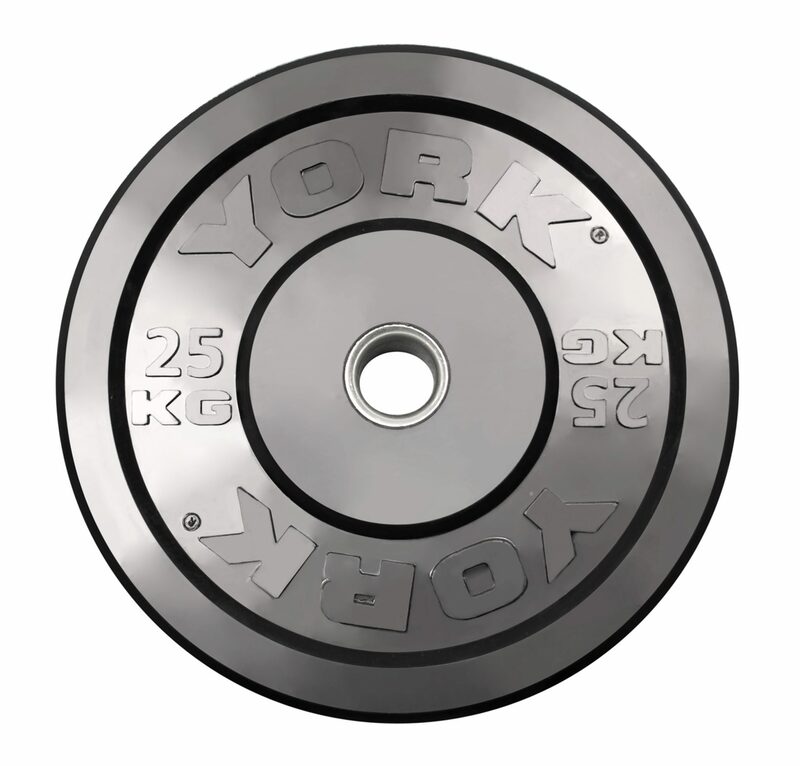 With an eye for the path ahead as well as a hearty respect for the past, York will always rule the present. 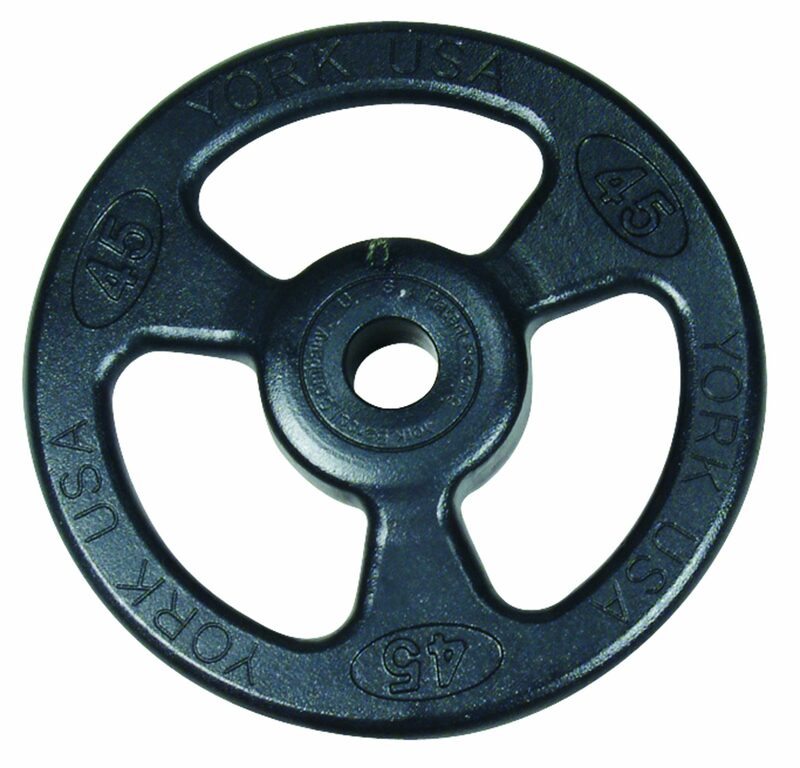 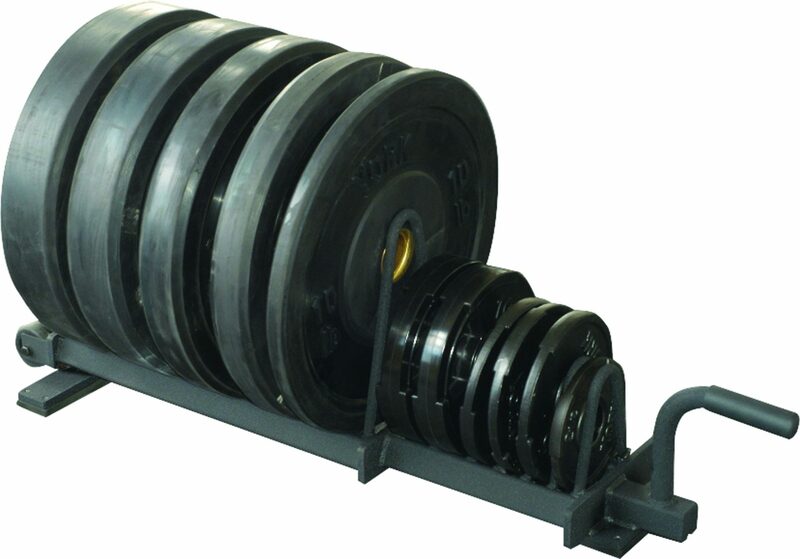 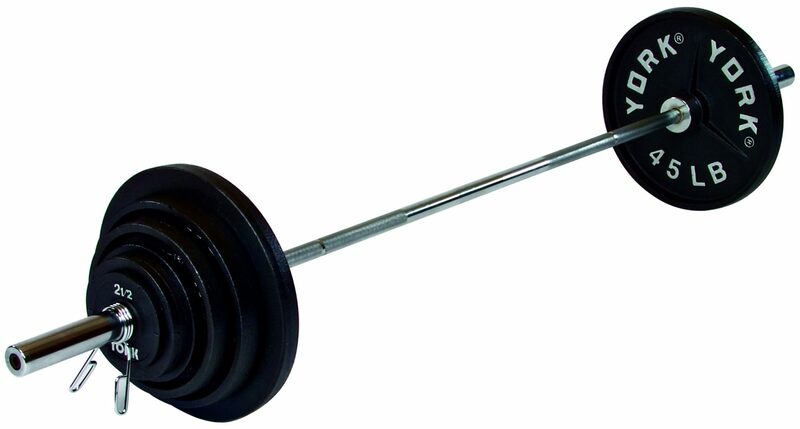 For more information about our weight plates & sets, or other York Barbell Gym Equipment, please contact us today!